Adoption is tremendous. It is the hardest thing I’ve ever done in my life, and it has brought the most blessings. People often ask us, “How did you know you were meant to do this?” My answer is always that we prayed, and we had faith. We felt a burning in our hearts. A longing to be their parents. So we jumped in. But that’s not to say that it was easy. We adopted Steven, Celeste and Elijah in 2009. 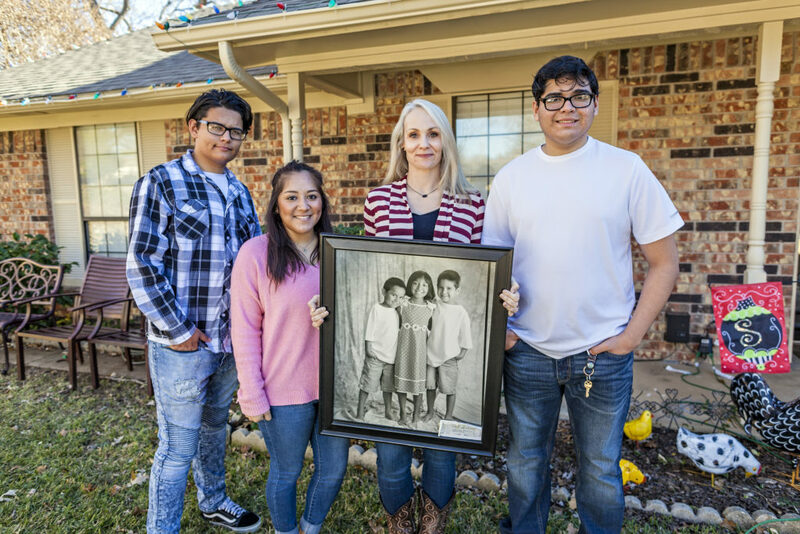 They had spent four years in foster care. The first few months after they came home was a whirlwind. 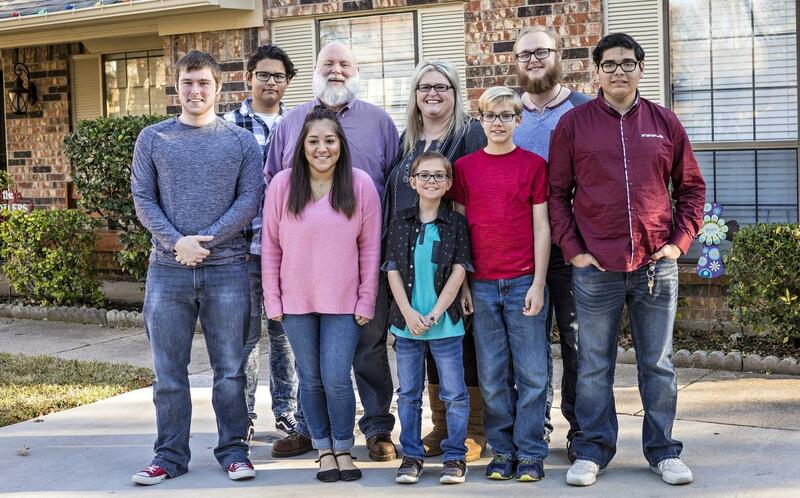 We had gone from a family of four to a family of six and then to a family of nine. All in just two years. Our children had opinions, behaviors and ways that didn’t mesh with our family at times. They had night terrors and fears that seemed irrational to us, but were very real to them. For many weeks, we made beds on the living room floor so they could all fall asleep together while watching Veggie Tales. Then, we would transfer them to bed. Their trauma ran deep. Through it all, we never gave up on them. Our Wendy’s Wonderful Kids recruiter, Grace, was crucial in our decision to move forward with the adoption of Steven, Celeste and Elijah. One of our children was marked as “unadoptable” in the adoption readiness summary, written by the judge. Grace provided information and endless time on the phone to listen and offer support. On adoption day, she presented us with a large framed picture of our kids. To anyone considering foster care adoption, I say…just jump! You can and will swim! Children in foster care are just that, children. They want to be accepted and loved for who they are. Educate yourself on adoption-related issues. Find a support system of other adoptive families. Don’t think you can do this alone. Thank you to the Dave Thomas Foundation for Adoption and our Wendy’s Wonderful Kids recruiter, Grace, for taking the time to invest in my children. We will forever be thankful!